I read this article and found it very interesting, thought it might be something for you. The article is called Program Overview and is located at https://www.dellarte.it/undergraduate-programs/music-program/program-overview/. In addition to the Italian language component offered at the Accademia, students study applied music (voice, instrumental, or keyboard) in individual weekly lessons and coaching sessions with Italian music teachers. Furman faculty members teach a music history course (17th through 19th century Western Music), a basic conducting class, and an interdisciplinary, experiential course, “Italian Art and Culture.” A highlight of that course is a four-day series of excursions and lectures led by Kirk Duclaux, Director of Italian programs for Oklahoma University, that reveal the richness of Tuscany’s stunning array of visual art and architecture. Students also collaborate in several “Movement for Musicians” sessions taught by Accademia dell’Arte faculty, which allow them to spend calss time together with the Accademia’s theatre students. 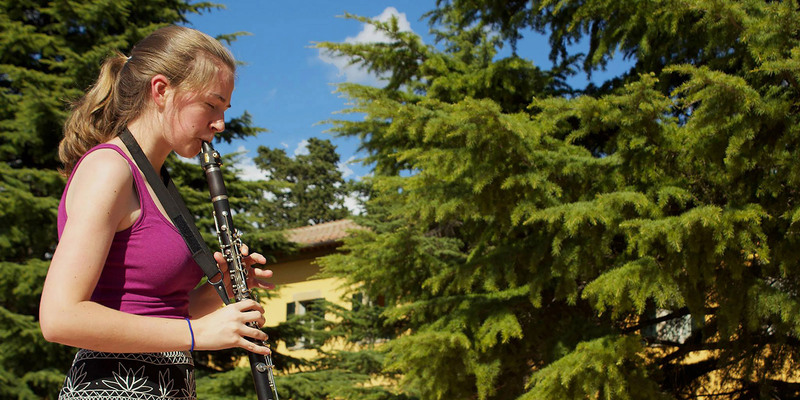 Students also take part in performances of chamber music and solo recitals both at the Accademia and in local venues, including the historically significant “Casa del Petrarca.” Regular concert attendance in Florence, overnight excursions to Rome and Venice, along with independent travel opportunities during a week-long fall break, provide students with ample opportunity to experience the cultural life of Western Europe. Application procedure requires submission of supplemental materials by May 15. For further information on the music program student application process, contact info@dellarte.it. For more specific information see the Furman University website. This program is provided in partnership with Furman University.